Boys passed as ‘A1’ usually underwent Assignment in the week before their 11th birthday. They’d enter the tramcar-narrow room with its mossy skylights and wall tiles the colour of Danube sludge, thinking of shiny diesel locomotives, sleek jetliners, or shell-scarred battle tanks. In most cases the machine detected these thoughts, and assigned appropriately. Sometimes, however, things went awry. Take my best pal, Valka. Despite the fact that Goliath steamrollers were in his blood, he wound up psycho-tethered to a 3M8 ‘Ganef’ SAM missile. Valka got in touch a few days ago, urging me to try the latest version of SAM Simulator. Since the RPS ‘Tall King’ first detected this priceless/price-less plane-slaying sim back in December ’09, it’s filled out impressively. New SAM systems like the SA-4 Ganef and the SA-5 Gammon have been added. Extra scenarios including Vietnam War and Operation Prairie Fire outings inserted. A month ago a new build gave missilers the chance to view engagement tracks in Google Earth. The latest major development occurred on Sunday, when lone Hungarian creator ‘Hpasp’, delivered the sim’s first nuclear-tipped projectiles. The V-760 15D (Guideline Mod.4) is about as ‘not cricket’ as surface-to-air munitions get. Introduced in 1964, a 15kt nuclear warhead means it’s not just the targeted aircraft that needs to sweat. Entire squadrons of bombers can be taken out in single detonations, entire regions endangered by the resulting debris scatter. After experimenting with the new devil darts for a few hours yesterday, I think I’ve finally (with the help of some fuse-setting tips from the SimHQ forum) got the hang of them. The following primer is no substitute for serious manual study, but, if you’re new to the sim and fancy a quickish, confusion-free taste of Cold War anti-aircraft tech, then it might be worth a gander. Download the v0.924 beta 2 and place the two rar archives in a new folder. Extracting the first archive with WinRAR should automatically extract the second one too. On firing up the sim for the first time you’ll see the above menu. Click the right arrow to select the S-75M3 Volhov / SA-2E system, then tick the ‘Allow non-historical scenarios’, ‘Allow nuclear weapons’ and ‘digital elevation mesh’ boxes. Trying the Mod.4 missile under combat conditions is probably a tad ambitious at this point so we’ll get familiar with the beast at Asuluk, a test range in the Soviet Union (Click ‘Asuluk’). Add a missile to your launcher with the ‘+’ button, then sift through the possible targets until you find the bogus stratofortress – LA-17M (B-52). Once you’ve added a target it’s time to ‘Start’. You can return to this screen at any point by pressing ‘Q’. Button (4) will shut down the sim and take you to a results screen. We’re going to use the battery’s P-18 ‘Spoon Rest’ early-warning radar to acquire the target. Push ‘X’ to go to the Spoon Rest screen, then rotate the azimuth line by click-dragging in area (5) until it bisects the target blip (the target is approaching from the E so the line will need to go to roughly 3 o’clock). Now we’re going to slave the Spoon Rest to our ‘Fan Song’ fire-control radar (the radar that will guide the missile onto the target). To do this press button (6). ‘Z’ will take you to the Fan Song panel for the second stage of the acquisition process. Left-click switch (7) thus preparing the Fan Song for elevation tracking, and then very delicately click-drag in area (8) until the vertical boresight line bisects the target blip (if you’re lucky it might not need to be moved). Once in position, right-click in area (8) and, assuming light (9) illuminates, your target’s elevation is now being automatically tracked. To prepare the Fan Song for azimuth tracking, right-click switch (7) (It should now be centred) and do the boresight centring malarkey in the right panel by click-dragging carefully in area (10). You’ll know if you’ve been successful, because light (11) will illuminate. Note: Clumsy boresight manipulation at this point in can extinguish light 9. If this happens left-click switch (7) and go back to the left-hand display and repeat the elevation tracking process. All the Fan Song wants now is range data. Click and drag on the left-hand side of area (12) until the horizontal range line appears and descends onto the target blip. A right-click should now leave you with three green lights (9, 11, & 13) lit at the bottom of the panel. Off to the ‘Z’ panel…. Right-click missile guidance knob (20) to extreme-right. Align launcher with Fan Song radar by pressing button (21). This will take a few moments. Got two blue lights showing at (22)? You’re ready to fire (23). Jesus & Mary! What have you done? You did have the necessary clearances to live-fire a nuclear weapon didn’t you? You made sure the range was clear beforehand? You do realise that, test or not, this could easily cause an international incident? Tell me you made sure the target was at a decent distance when you launched? When God was handing out ambition, Igor Kulakov, dressed in the cream and gold uniform of an Ambition Inspectorate officer, bluffed his way to the front of the queue, convinced God his ambition was counterfeit, and then proceeded to ‘impound’ over 3000 bushels of the stuff. When God realised he’d been scammed he was livid. “I hope the ********* uses all that ambition to build a stupendously ambitious yet fatally flawed WW2 grand strategy game” he’s reported to have bellowed. Soldiers of Empires II is proof you should never dupe God. I want to love SoEII, but I can’t see that happening any time soon. I want it to succeed because I can sense the blood, sweat and coffee that has gone into researching and building the staggering 2600-strong unit database and the improbably vast 1941-45 grand campaign map and TO&E. 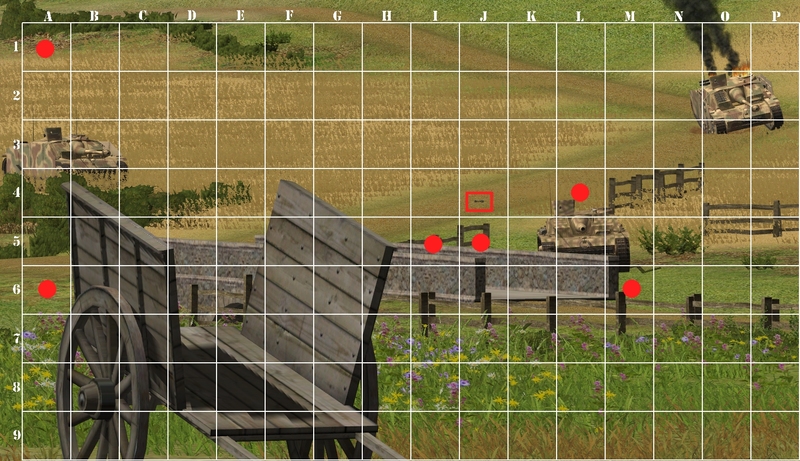 This is a game that features 1940s planes and AFVs too obscure even for Flare Path Foxers. Wisely, considering the eye-watering scale of most of the included scenarios (even seemingly manageable challenges like The Battle For Berlin and the Invasion of Poland contain hundreds of units) IgorLab have opted for simple Panzer General-style rules draped over a delicate armature of economics. Pick a unit, move it within range of an enemy, then attack. Once you’ve exhausted everyone’s action points, it’s time to End Turn and let AI-controlled foes and allies have a bash. So far, so good. What rips the wings of this monstrous Messerschmitt Gigant is the gruesome GUI and non-existent combat feedback. In flagrant contravention of Article #11 of The Unwritten Strategy Games Design Rules, selecting an SoEII unit causes no name, or strength stats to appear. To learn anything useful about a division, vessel or squadron, you must right-click to open a full-screen ledger. It’s as mad as Goering’s wardrobe. Even once that ugly info screen has told you how experienced, confident, and well-provisioned a unit is, and how many tanks, AT guns, and grunts its cute icon represents, you still have no real idea how it’s likely to perform in a coming attack. Unless I’ve overlooked something major, combat consists of blindly clicking on a nearby unit, watching an explosion bloom, then – assuming your unit hasn’t vanished – checking the ledger to see how many casualties you’ve sustained. I’m struggling to think of a less helpful/appealing way to represent Axis vs. Allies agro. …Igor Kulakov’s years of effort could feasibly pay off. Without them, it’s hard to imagine SoEII – the generous demo of which is available here – luring many away from the likes of Strategic Command, Commander: Europe At War, or Panzer Corps. Fired by the schreckist in B4 at the dismounted tankers in N8/9, last week’s rocket (O9) bamboozled all. Technically, Megadyptes (N4) was the closest, so takes home a tin (wartime shortages are beginning to bite) FP flair point mit Eichel. 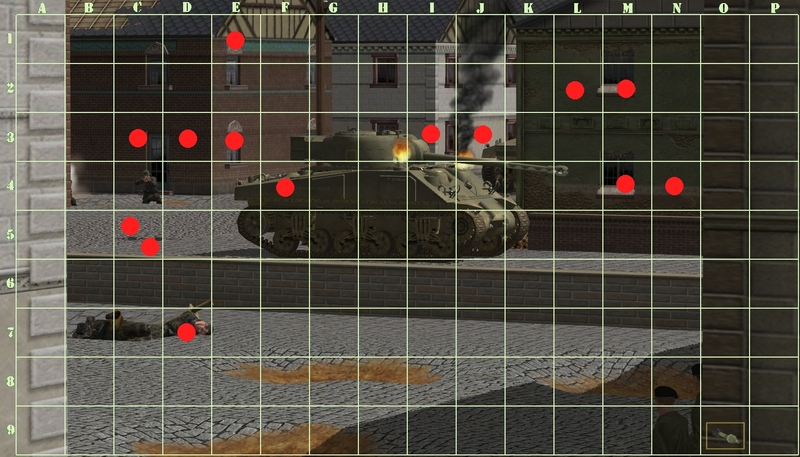 Hopefully, the guessmanship will be of a slightly higher standard in this week’s ‘Pinpoint the PIAT’. Tagged with demo, feature, free games, Hpasp, IgorLab, SAM Simulator, Soldiers of Empires II, The Flare Path.